Scientists have analyzed the DNA of some ancient human bones and have determined that they belong to the evolutionary line of the early Neanderthals. In other words, remains are approximately 430,000 years old. Results are published in the journal Nature. Discovering the age of the bones, which were found in a cavern in northern Spain, was not an easy task, since its DNA was degraded and contaminated. However, Matthias Meyer, the molecular biologist at the Max Planck Institute for Evolutionary Anthropology, has obtained relevant results, by decoding just 0.1 percent of the DNA’s genome. Bones definitely represent early Neanderthals, said Nature in a press release published this week. The scientific community has described the new findings as “ambitious and impressive”. According to Mr. Orlando, the researcher at the Natural History Museum of Copenhagen, “we are really reaching the limits of what is possible”, as quoted in Nature. Remains are known as the Sima hominins since they were found in Sima de Los Huesos in Spain. Researchers seem to suggest that the cave holds the remains of 28 ancient humans, alongside bones of other interesting creatures such as cave bears. One theory proposes that these group of individuals fell steeply into the cave a long time ago while others suggest that they were buried there. 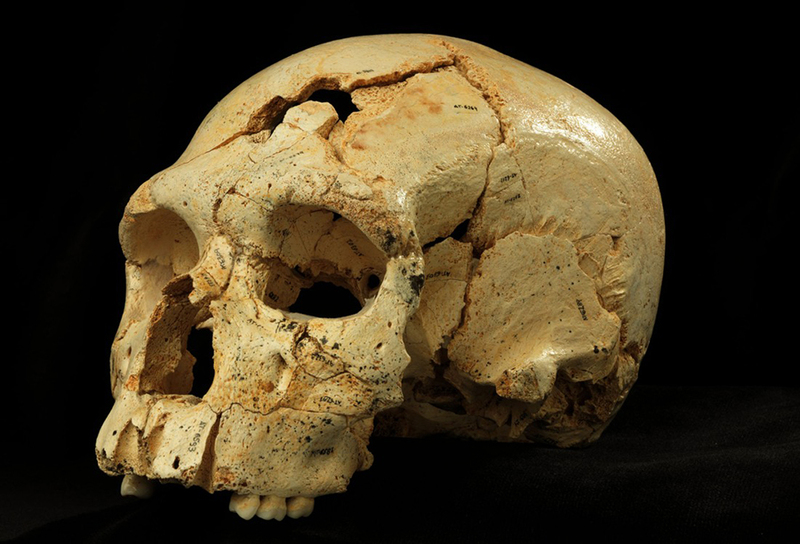 The Sima hominin skulls have some typical characteristics of the Neanderthals, such as a marked brow ridge. However, some scientists had thought that belonged to an older species such as the Homo heidelbergensis, since they have some features that are difficult to identify. “Sima de Los Huesos is currently the only non-permafrost site that allows us to study DNA sequences from the Middle Pleistocene, the time period preceding 125,000 years ago,” says Matthias Meyer of the Max Planck Institute for Evolutionary Anthropology in Leipzig, Germany, according to BBC News. Meyer’s team have obtained nuclear and mitochondrial DNA from five Sima samples, which had been cautiously conserved until new advanced techniques for analyzing DNA appeared. Co-author Svante Pääbo, the researcher at the Max Planck Institute, said that results are consistent with a rather early divergence of 550,000 to 750,000 years ago of the modern human lineage from archaic humans. Investigations about human evolution will never stop. Now that researchers have found more data about the origin of the Sima hominin, they will look at elderly ancestors to determine which is the best candidate for the common ancestors.